Time for the obligatory PlayStation 4 Pro article. Boy I bet you were excited for this one! For the random person who wasn’t paying attention to the news until just now, the PlayStation 4 Pro, formerally known as the PlayStation Neo and the PS4K, is sonys high-end PlayStation 4. The older model will be phased out in favor of the newer, slimmer PS4 and that will act as the entry level device. If you want a higher quality experience however, you can shell out an extra $100 and get the PS4 Pro which supports upscaled 4K resolution, HDR, and has a GPU with twice the power and an overclocked CPU. In other words, it’s more powerful and developers can patch already released games to take advantage of this extra power. Kind of like a remaster essentially. And then games that ill be coming out soon-ish, will likely have a Pro Mode which will activate when you slip the disc into a Pro system or download it onto a Pro that will do stuff like boost framerate, adjust the screen resolution based on your television, upgrade textures, etc. Something that I REALLY want to clarify is that you do NOT need a 4K or HDR compatible TV to get the benefits of the PS4 Pro. The system will automatically detect what kind of TV/Monitor you’re using. If you have a 4KTV, the resolution of the game will upscale to 4K. If your TV supports HDR, the Pro will activate HDR if the game supports it. If you have a standard HDTV, the Pro will not upscale to 4K and instead increase texture resolution, poly count, etc. 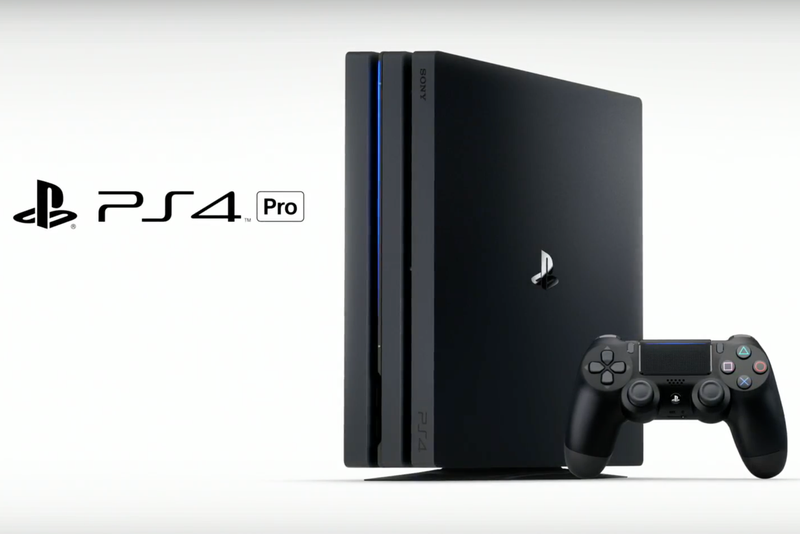 It is entirely up to developers how they want to support the PS4 Pro. Personally speaking, I’m not entirely sold on the PS4 Pro. Like, as someone who loves pushing graphics to their highest level, it’s enticing because games will look better and run better on the Pro, but at the same time the current footage they showed was over a really crappy stream and so I still don’t see the reason I NEED to upgrade to a Pro. Now, if Square Enix were to come out and show off a Pro version of Final Fantasy XV that looks a lot closer to their original build of the game before they were forced to downgrade for stable 1080p30, that might sell me on a Pro. The Scorpio won’t be out for another year, it will not be on NX I can guarantee you, and the PC version, if there ever is one, is probably more than a year away, and I want to play this game ASAP. So if the best looking and most stable version is the Pro version, that might force my hand. Regardless, I have a hard time justifying paying the full $399.99 for what is essentially an upgraded PS4. So if they can offer me a good deal if I trade in my old PS4, that’ll make it easier to swallow. So as it stands I can kind of see the benefits of the Pro, but I’m still sitting on the fence debating whether or not to take the jump, and I imagine a lot of people are in the same boat.